AlertOps comes with 5 out of the box Escalation Rules. Rotate by User Device Before Escalate This out-of-the-box Escalation Rule is designed to alert the Primary User(s) one device at a time before escalating to the next user. Edit the interval between each device and between each user. 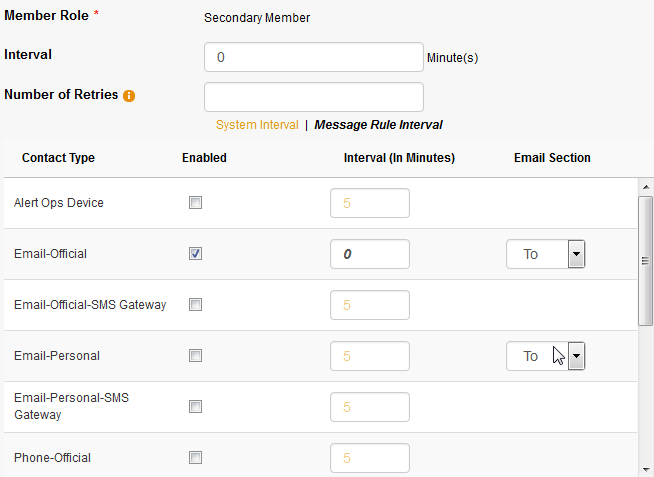 Each user controls their device sequence in their User Contacts settings. Escalation Rules consult Group Schedules to see who is on-call. Retry Users 5 Times 5 Minute Interval Before Escalate This out-of-the-box Escalation Rule is designed to alert the Primary User(s) at 5 minute intervals, using 5 attempts. You can modify the retries, intervals, and the device types. Add Workflow Actions to include escalations. 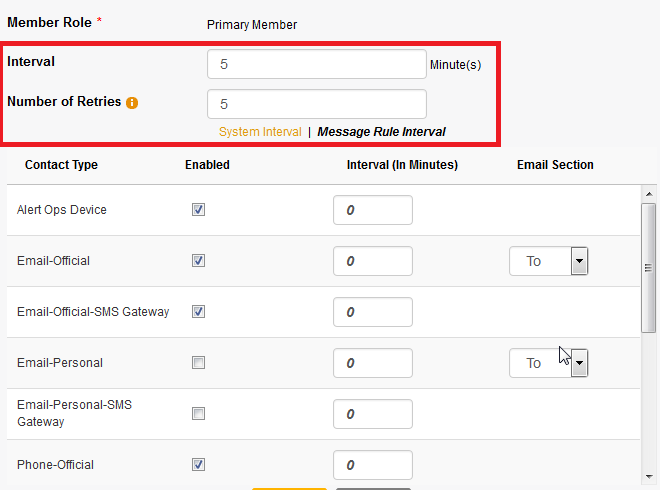 Send manual alerts using an out-of-the-box Escalation Rule, or create your own Escalation Rule. 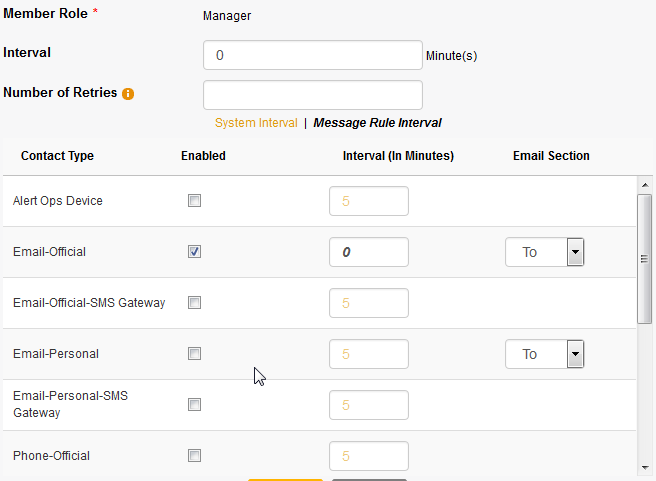 The All Hands Copy Secondary Copy Manager Escalation Rule will instantly notify to all primary group members (on-call), and send an email to all secondary members (on-call) and all group managers. Send to Groups, Users or both in the manual alert screen. The All Hands Escalation Rule configuration can be modified. 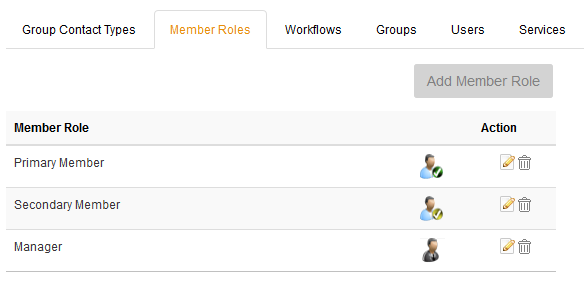 View or Edit the Primary Member role notification options. View or Edit the Secondary Member Role notification options. View or Edit the Manager Member Role notification options. 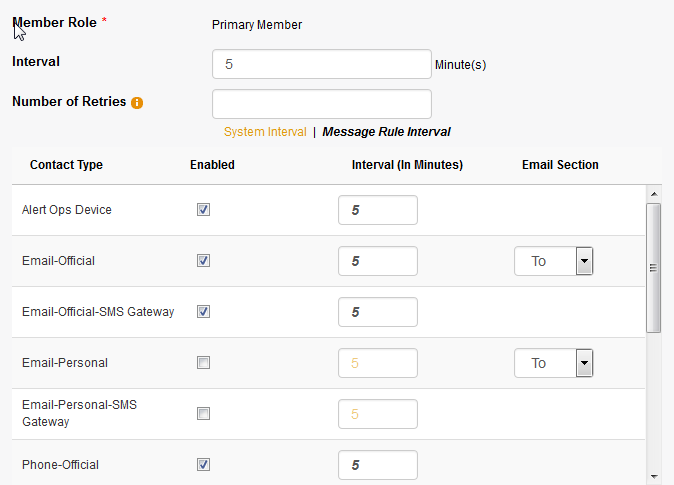 The All Hands Escalation Rule is also configured to send notifications to all Group Contact types. Configure Group Contacts in Groups. Set up Topics (Administration -> Topics) and then link Topics to Groups to simplify paging. Select a Topic and any Groups linked to that Topic will be added as recipients. Topics also work with Inbound Integrations. Create Groups containing Groups and send out alerts to the parent Group to reach large numbers of people quickly.